This past weekend I had a couple friends visit, last minute, in the middle of the week… which can be the best kind of visits… the best places are way less crowded on a Thursday! The weather had been rainy all week but we were lucky to have sunny skies over us on the day they were visiting. First Stop… Beauty’s Bagels! Yes, it is a bit hipstery ( whatever that means…) but it isgenuinelyy delicious and one of my favorite places in Oakland for breakfreast. I always take people here who are visiting and they always love it. I love the Veggie bagel but this particular day I tried the fried chicken and let me tell you… it was some of the best friend chicken I have ever had. After fueling up, we headed to Tenessee Valley for a hike! This is a leisure hike that you can make more challenging or longer as you see fit for you and your group. Next stop! One of my ALL TIME fav mexican restaurants I have ever been to, The Sausalito Taco Shop. The crema, the micheladas, the seafood… yes PLEASE! After lunch, it was time for some beer! We headed back across the Richmond Bridge for one of my fav breweries ( are you sensing a theme? Of course I would take my friends to do my favorite things! ), Fieldwork in Berkeley. I am NEVER disappointed here and I always take home a crowler, growler or apparel! … I just love it! Next stop, Rare Barrel… If you LOVE Sours…where have you been??? Get to The Rare Barrel. The server asked if we were on Spring Break… We took it as a compliment… life should be one long spring break! After heading home to clean up we hit my neighborhood brewery, Temescal. Love the beer garden here… dreaming of Summer already! SO glad that these two came and visited me! It allowed me to visit my favorite places with two of the funniest people I know! We then headed to one of my fav Korean spots, Bowl’d BBQ. After that, we hit one last brewery, Woods in Uptown Oakland. Love the fire pit vibes they set up! Additionally, if you want to dance on a Thursday night, head to Era Art Bar… always a fun time! And… there you have it! A few of my favorite things… in the BAY! 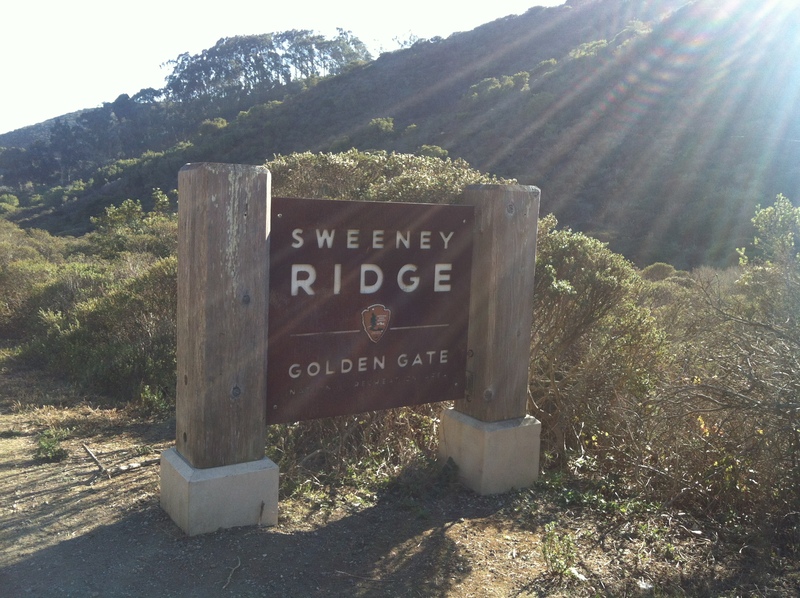 Soquel is calling…will you answer? Among my favorite things in the world are hiking and drinking beer. Today was a particularly awesome day as it was my friends birthday and we went to one of my FAV places to get beer. Initially we attempted to hike at the medicine buddha – but alas, the public can not hike there on Saturdays. So spur of the moment we decided to head to Nisene State Park. It is not the best place to go with a pup and there is an entrance fee but despite these setbacks we had a great time explorin’. Now for the piece de resistance… Beer Thirty! If a could marry a bottle shop this would be my first choice. The key is getting to go food at Carpos ( next door). For my veg friends your options are more limited ( salad bar, grilled cheese, veg burger) but if you eat meat get the tri tip sando ( YES!). So… you get your food to go, head next door to Beer Thirty grab some brews and hang out… Once you are done eating, get a refill and play some corn hole or ping pong! This place is dog and kid friendly so no excuses! 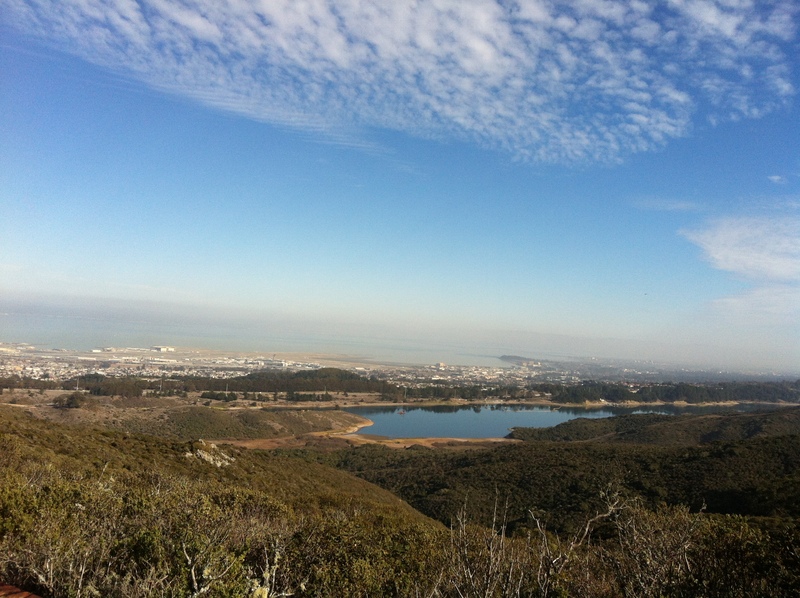 More Information on the trail can be found on Bay Area Hiker. I also love reading Yelp reviews. My friend and I didn’t get started hiking until about 12:30 so the sun was already high in the sky and beaming down on us while we climbed up for 2 miles. 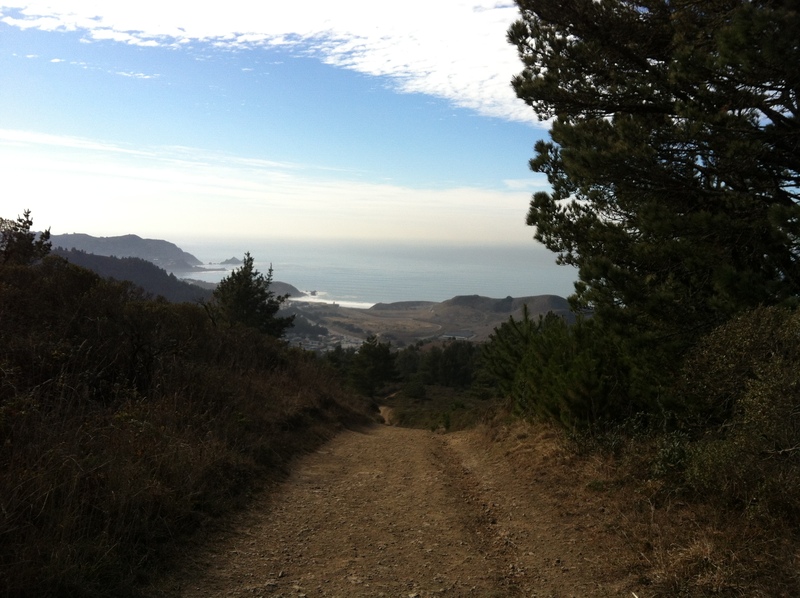 The first two miles are paved – which can be a turn off for some people, however, I did not mind. The rest of the trail was sandy. The City of South San Francisco. The picture above is where we stopped. In total we traveled 6.89 miles and it took right around two hours. There are quite a few different paths you can take and I believe that the trails total around 15 miles. I totally plan on coming back here! I even think it would be a great after work hike! PROS: Love that it is so close to the city! Love that you can diversify your hike every time. Pet friendly! We saw lots of pups. Cons: Close to the city… freeways and buildings are part of the view. During the week, you may encounter a truck driving up the trail to do maintenance.